I love this cleanser. It saves time and does what it say's. I absolutely love this product, its gentle enough for sensitive skin, leaving your skin feeling refresh, soft and smooth. I have struggled for many years with blemishs and uncontrollable break out, but now with Alpha H my skin is clear and bright! I love this product. I've used one of the top brands since I was 19 I am now a lot a lot older. This product is as good if not better than the top brand I was using before. Love Alpha H ! This product is light & smooth & removes makeup excellently . The skin is left supple yet not greasy . No breakout associated with new use of the product & It's cost effective . I have only been using this cleanser for 3 months and it's the best cleanser I have ever used. It removes makeup and dirt from the day without leaving the skin feeling dry. 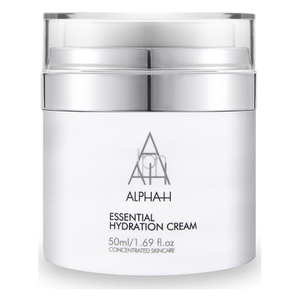 Your skin will feel hydrated, soft and supple. Definitely worth switching. Does what a cleanser should do- cleans, removes makeup, removes oil without drying the skin, hydrates and smells pleasant. Would recommend this product to anyone in their late twenties to late thirties who has fairly good skin but needs an all round cleanser with balancing abilities. Not really a fan of the cream style cleanser (first time using one), or the fragrance of this product. It dose an ok job of cleaning my skin however the cleanser I usually use (different brand) provides a much better result. Ok product overall but won't be purchasing again. 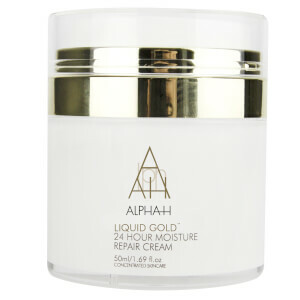 I started using Alpha H products as it is what my skin practitioner uses. I really love this cleanser, it quickly and easily removes make up and leaves my skin fresh and glowing. It also lasts well with both my partner and I using it daily!